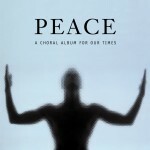 Following the success of the beautiful a cappella choral album Peace: A Choral Album for our Times (AV 0039), the Handel and Haydn Society offers a seasonal offering that once again fuses the familiar with new works which are destined to inspire the festive imagination. Sample Jennifer Higdon’s atmospheric O Magnum Mysterium with glasses and chimes, or Eric Whitacre’s harmonious Lux aurumque, alongside longtime favourites such as Lo How a Rose E’er Blooming and The Coventry Carol in a unique arrangement with hand bells. Another special feature is the world premiere recording of Tom Vignieri’s Hodie Christus natus est, commissioned for the Handel and Haydn Society. 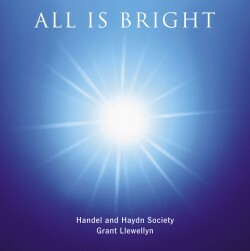 For the ensemble’s Welsh-born Music Director Grant Llewellyn this recording is a deeply personal project, recapturing the annual spirit of caroling, maintaining tradition whilst forging new frontiers.